Anne Stevenson-Yang graciously made her presentation on China 2015 Risks - Deflationary Bust and Beyond publicly available. I wanted to embed the document but it got distorted a bit, so please click on the above link to download the document. I reviewed her presentation about a week ago in Reality Check: How Fast is China Growing? Global Recession at Hand. The following snip is a recap of what her presentation is about. How Fast is China Growing? Analyst estimates of Chinese growth keep getting lower and lower. Yet, those declining estimates have all been from a lofty level: From 10% to 9%, to 8% to 7.5%. China's growth target for 2015 is 7.0%. Many question those growth estimates. I certainly do. Chinese growth is not consistent with energy demand, raw materials, or personal consumption. Worse yet, growth does not factor in pollution or malinvestments in vacant housing, vacant malls, vacant airports, etc. Malinvestments, pollution, and State-Owned-Enterprise (SOE) boondoggles (fraud is actually a better word) should all subtract from current GDP. Instead, fraud, pollution, and malinvestments have been buried and will remain buried until it's impossible to hide them. I assumed China was growing slowly. After all, 7% is one hell of a lie. However, I now wonder if China is growing at all. What caused my double take was a fascinating presentation by Anne Stevenson-Yang, Co-Founder of JCap and author of China Alone: The Emergence from, and Potential Return to Isolation. You can download or play her video presentation here: Is China Already in a Hard Landing? Lacy Hunt at Hoisington Investment Management had this comment. Congratulations on this piece. When Anne Stevenson-Yang speaks, I listen. She may be the best source on what is actually happening in the Chinese economy. Your comments were excellent. I hope this article gets the recognition it deserves. I did catch one error in the presentation. If you have ever made presentations, it's quite easy to do. 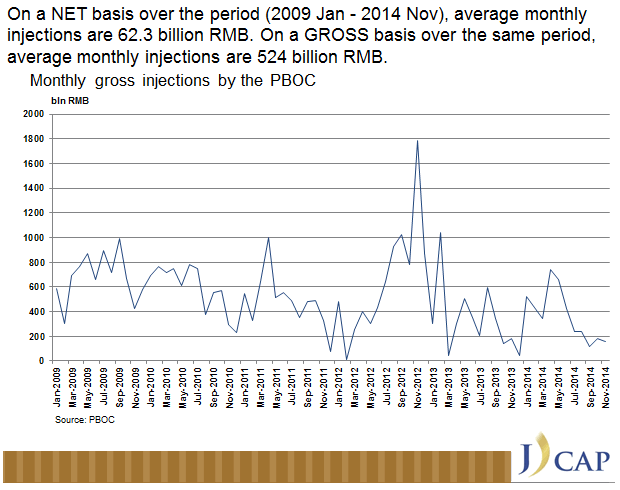 On one slide, Stevenson-Yang spoke of "daily injections" of 1.5 trillion yuan. 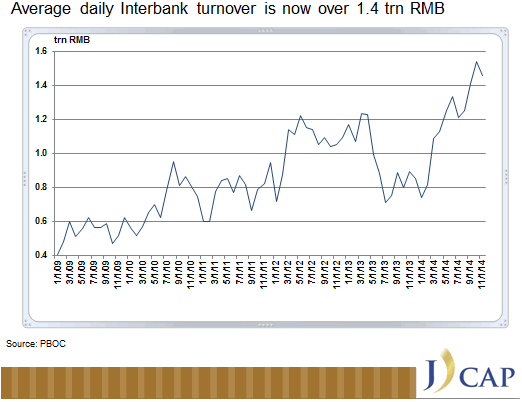 Instead, 1.5 trillion is the average daily interbank turnover including interbank lending and repos. It is a proxy for short-term liquidity needs for Chinese financial institutions. Thanks again to Anne Stevenson-Yang for making her presentation available. The link at the top will let you download all 44 slides of her presentation. China bulls who think China will grow 6-7% a year are in for a rude awakening. © 2015 Mike Shedlock, All Rights Reserved.